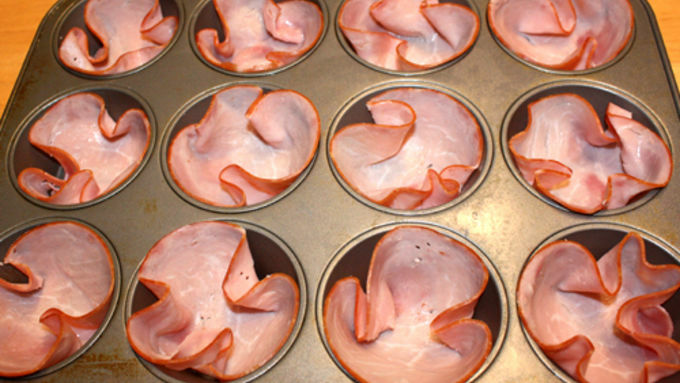 Preheat oven to 375° F. In a muffin or cupcake tin, press one slice of ham into each space. 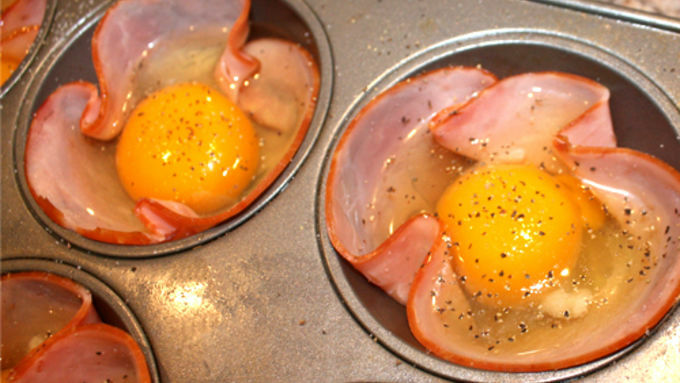 Crack an egg on top of each ham cup. Season with salt and pepper, to taste. 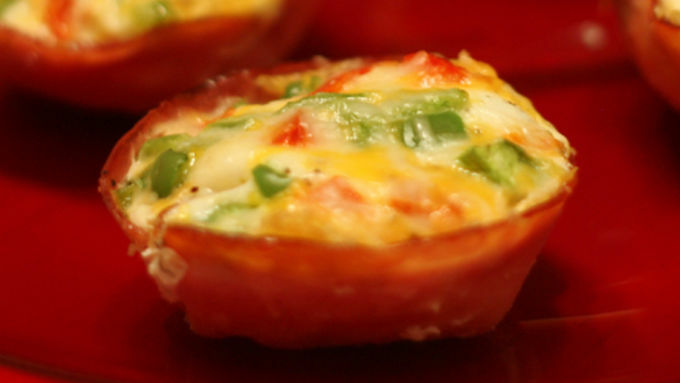 Sprinkle red and green pepper on top of each egg. Bake at 375° F for 10 minutes. 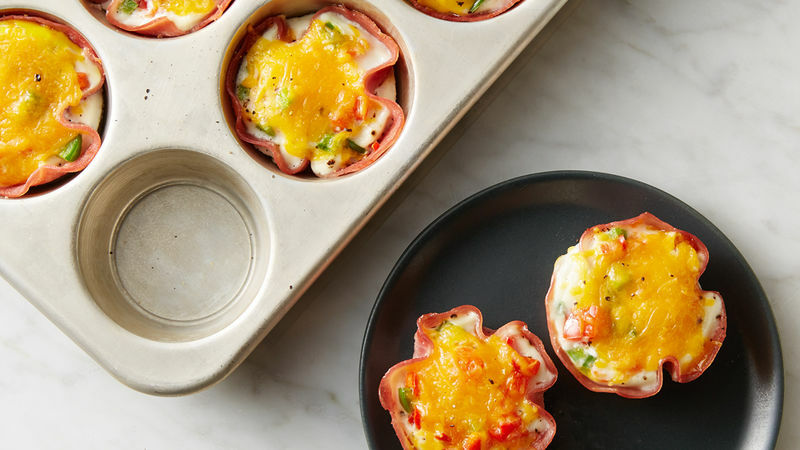 Remove from oven, sprinkle each egg cup with cheese and return to oven for 5-10 minutes (until eggs are cooked according to your taste). I am always on the lookout for great breakfast and brunch ideas, especially during the holidays. There’s nothing I enjoy more than a relaxing breakfast with my family. However, since we all like to lounge around on weekends and holidays, I try to make things that are simple and quick. 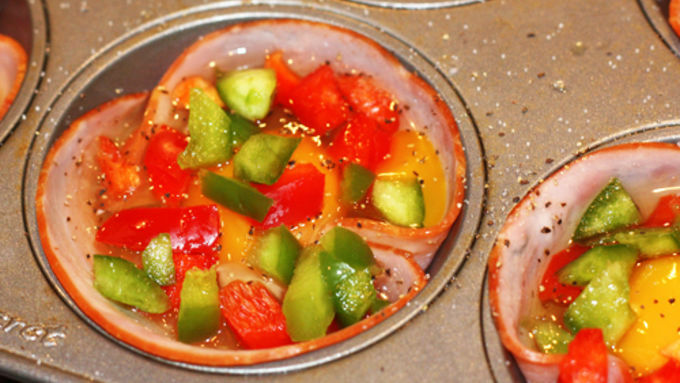 These Confetti Eggs Cups are not only super easy to make (my 6-year-old put these together! ), they are absolutely gorgeous and would be a perfect dish to take to holiday brunches or get-togethers. You can use any veggies you want, but the red and green peppers are our favorite and definitely festive. You could also assemble these cups ahead of time and bake them right before your guests arrive. Enjoy!